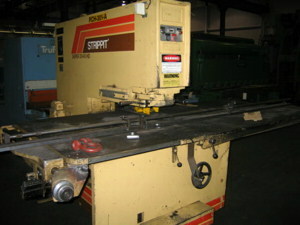 Strippit Super 30/30 and Single Station Machines. George Wales Founded the Strippit Company in 1925.
and Single-Station Punch Machines that Used This "Strippit-Style" of Tooling. Sadly Since Then, The Strippit Co. has been Bought, Sold, and Traded like a Poker-Chip. Current Owner Du-Jour, LVD Stupidly Sold-Off "Strippit-Tooling" to Wilson Tool Co. This Style Tooling is Now Known as "Thin-Turret" Tooling. 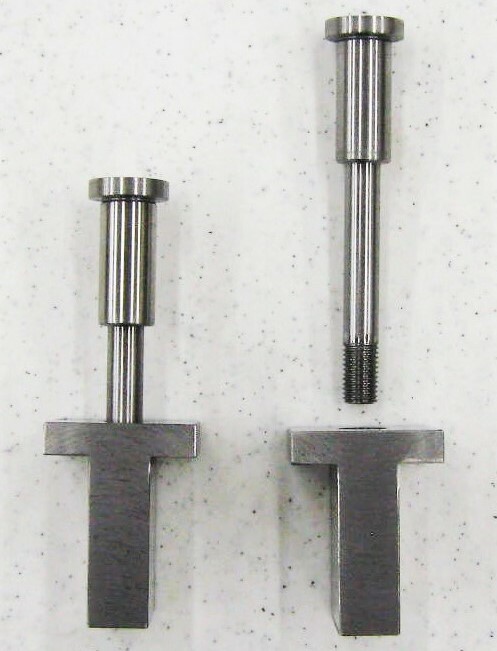 under the "Punch Tooling Sizes" and "Punch Tooling" Sections Below. Read-It! And there is 6 Tooling Co. Web-Links at Bottom of Web-Page "Strippit vs Amada". 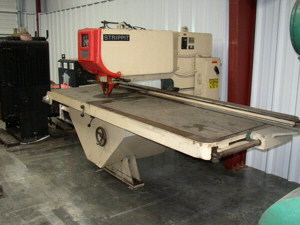 (Semi-Automated Fabricator) which Strippit called their Single-Station Manual Machines. I will Divide All S.A.F. 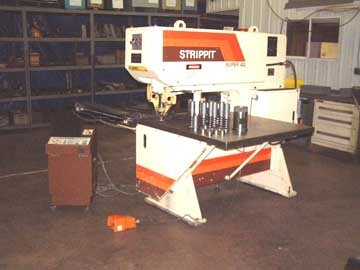 Machines that Strippit Made, into 2 Broad Categories. 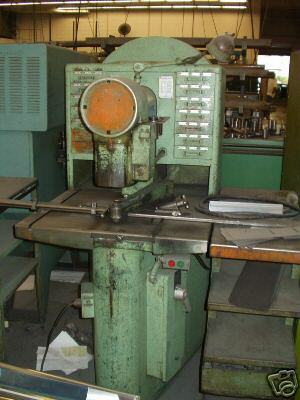 First Machine Category is Early-Type Punch Machines made from 1925 to 1960. 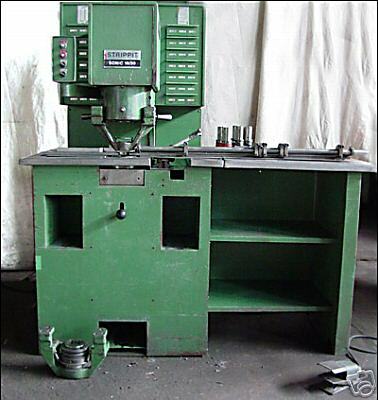 These Machines Had Flywheel on Back-Side of Machine, used an Awkward Punch Tool-Holder that Fit-Into Machine's Table Top, and were made in Models 10A, 10AA, 15A, Etc. put it in the Duplicator-Holder, then Manually move Stylus to each Pattern-Hole. and you would Punch Sheet as you moved to each new position. or look for a cheap "Parts" Machine from a Used Machine Dealer, Auctions, or Ebay. We have a Firm Policy of NOT Working on Machines that are Older Than Our Wives. 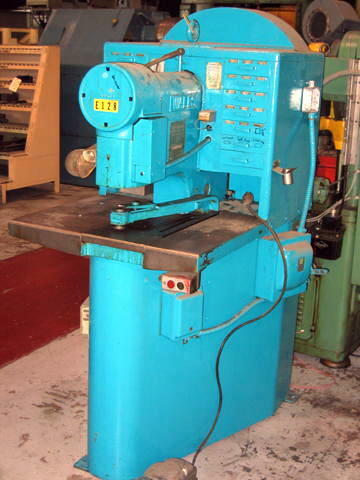 Second Machine Category is Late-Type Punch Machines made from 1960 to about 2001. Most of these Machines were Mechanical, using "New-Style Hydra-Mechanical Head" with 2-Flywheels in Front of Machine with 1 on Each Side of the Frame. 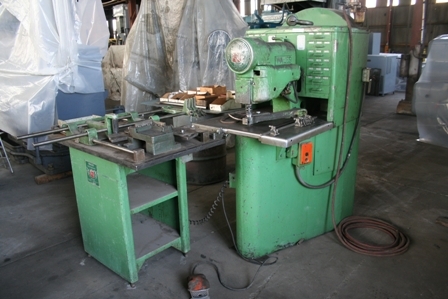 There was also 2 Hydraulic Machines Made, the Super 30/40HD and Super 36/75. 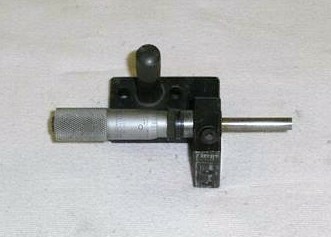 Punch-Head, and was Much Easier to use than Old-Style Holder. 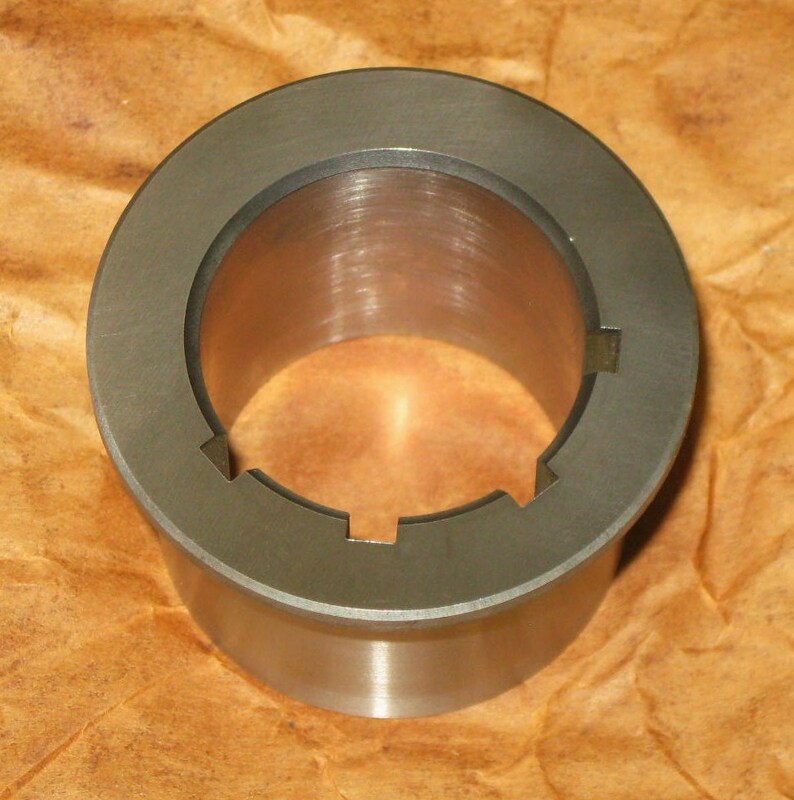 These Punch Holders came in 4 Sizes, 1 1/4 Inch, 2x2 Inch Notch, and 3 1/2 Inch for 30 Ton Machines. 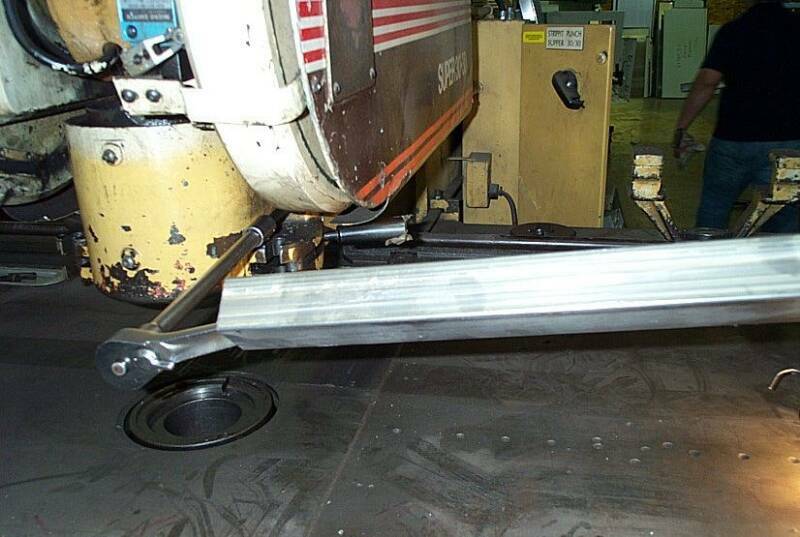 The 40 & 75 Ton Machines could also use Optional 5 Inch Holders. 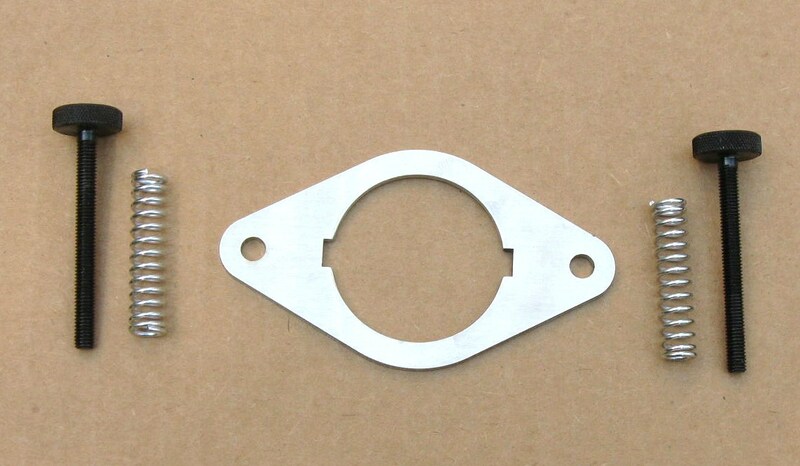 and Is NOT The Actual Punch-Assembly Size or Hole-Size in Swing-Arm Holder!!! Machines Models Sonic 18/30, Custom 18/30, Custom 30/30, Custom 30/40, Super 30/40 (Mechanical), Super 30/40HD (Hydraulic), and the Most-Popular Super 30/30. 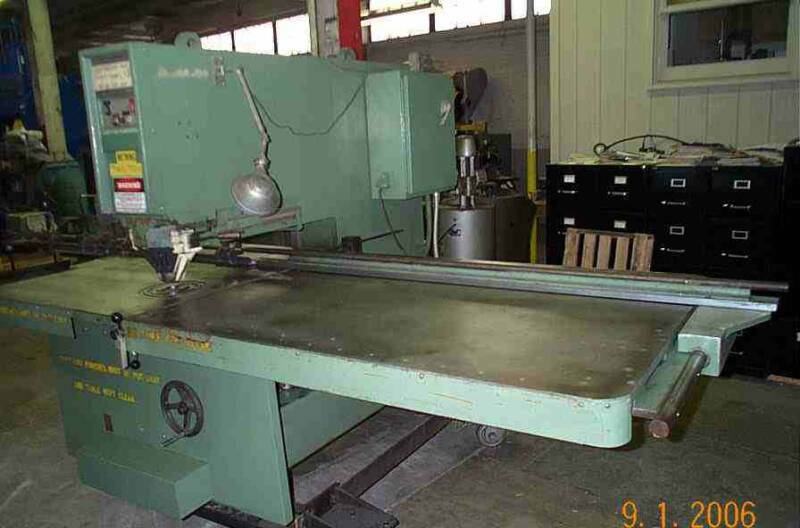 Model Name means the following; "Custom" means the Work-Table is Fixed in it's Position, where "Super" means Work-Table can be Moved Up or Down several Inches in Relation to Punch-Die Top Surface, with a Hand-Crank Wheel on Lower Front of Machine. Moving Table Down gives you Clearance around Die, so you could Punch a Hole in a Metal Box, Angle-Iron, or some other Already Formed Metal Part. First Number, as in 18/30, means Throat-Clearance, in this case 18 Inches. Second Number Means Tonnage Machine Supposedly could Punch. These "30 Ton Machines" were Not Really 30 Ton Machines, they Spray-Out Oil & Break Piston if used on Full-Capacity 30 Ton Holes or 1/4" Thick Materials. I Advise NOT Using them over 20 Ton punch-holes or thick material. 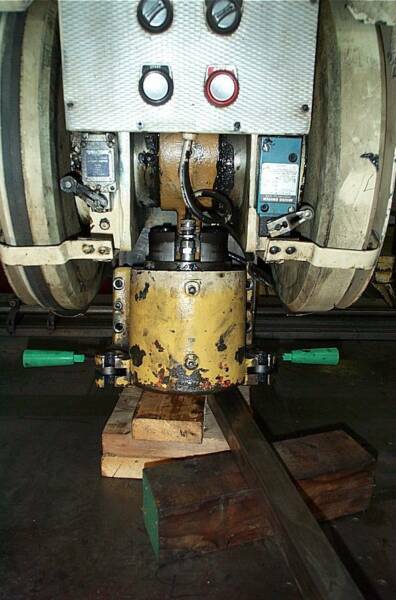 Buy a Super 30/40HD Hydraulic for High-Tonnage Holes! Super 30/30 with Bigger Flywheels & Motor and were Definitely NOT 40 Ton Machines! Could Punch 75 Ton Holes! Because of Problems trying to Punch Big 30 & 40 Ton Holes with Mechanical 30/30 and 30/40 Machines, Strippit came out with Super 30/40 HD (Hydraulic) Machine in 1976.
if you want to Punch Big Holes in Thick Material or Stainless Steel. or are Dishonest. Always Check-Out Machines Carefully BEFORE You Buy, Not After!!! I specialize in Strippit HECC80-Control Turret-Machines, Not Single-Station S.A.F. Web-Page more Trouble-Shooting & Repair-Information for S.A.F. Machines. 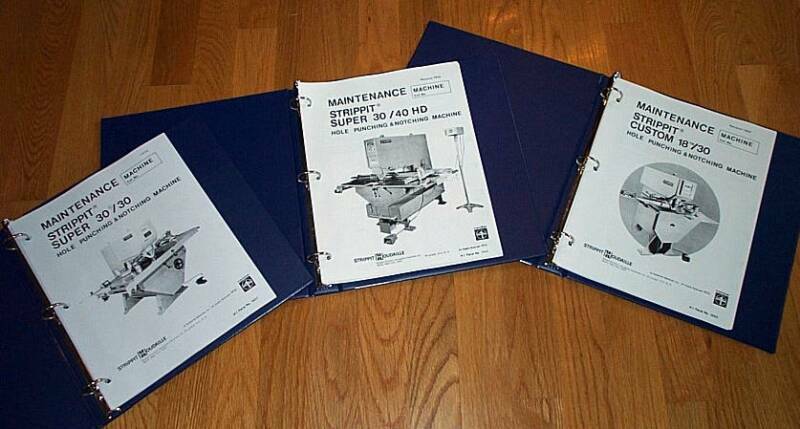 I have a Few Repair & Operation Manuals For-Sale, and Repair Parts Listed on this Webpage. Buy a Manual and Learn to Maintain & Repair Machine Yourself! 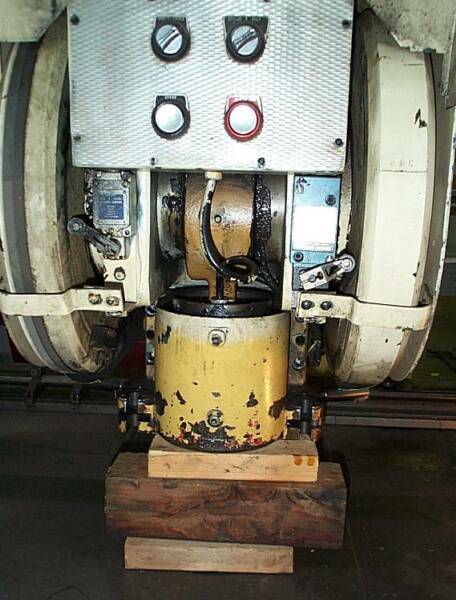 Rebuilding Machines can be Tricky if You Don't have Tools & Prior Experience. Tom Penrod, Tracy, CA Phone 209-814-7626 West-Coast Service Area. Joe Normoyle, La Puenta, CA Phone 626-826-0007 West-Coast Service Area. Denis Porter R.I.P 7/9/10. West-Coast Service Area. He was Best In The World on Repairing and Re-Machining S.A.F. Machines. Alan Suda 708-826-9845, Chicago & Mid-West Service Area. Very Good on S.A.F. Machines, and Strippit CNC Turret-Machines. Bob Kelly 815-355-0531, Chicago-Land Area. Good on S.A.F. Machines, and Strippit Fanuc-Control Turret-Machines. More Servicemen listed "Independent Strippit Control & Machine Repair Service"
"Strippit vs Amada" Web-Page. Use The Hot-Link Buttons Below! Machines are now 30, 40, or over 50+ years old, and Maintenance "Rocket-Scientists"
may have Modified Electrical Components, they certainly can develop issues. Some Common Problems are Listed lower in This Web-Page. Often Shops Buy a Used Machine, but Fail to get Both the 1 1/4" and 3 1/2" Holders! Break into 2-Pieces because Strippit's Holders were Cast-Iron that Breaks Easily. You Can't Fix-It, Many have Tried! Our's were Made of Cast Steel, but are Sold-Out! Right & Left Hooks and Left & Right Handles Lock-In Swing-Arm Holders to Machine. Keep Swing-Arm Holder Tightly-Closed & Aligned. This Allows Swing-Arm Holder to Move and Wobble causing Punch and Dies to Hit & Wear & Break, with Bad Punched-Hole Quality. If your Knuckle-Head Operators have Bungee-Cords Holding Handles-Closed so it Will Punch, it will NOT Hold-Alignment when Punching and your Hooks & Handles are Worn-Out! Usually Replacing Hooks & Lock-Pins will Fix Problem! New Handles are Not Available, but are usually OK. May Require Black Delron Round-Cams to be Replaced, which are in our Kit. Some Early Machines used Steel-Cams. You Need To Get One! Tool-Wear & Burred Holes. If you can Rock a New Tool Back & Forth Much, Bushing is Worn and should be Replaced & Aligned. 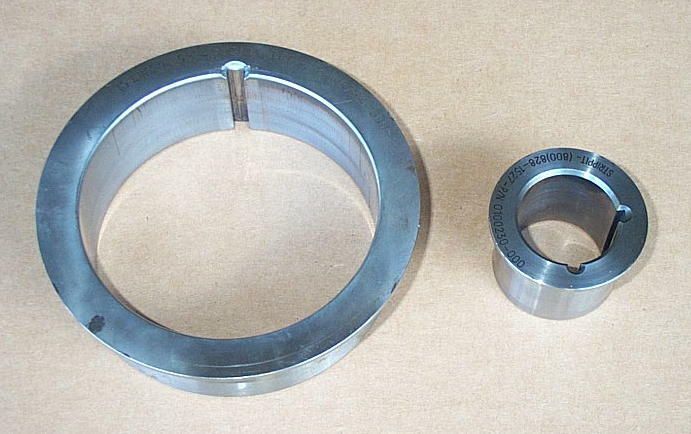 at Top-Right is a 0 & 270 Degree Bushing. 0 & 45 & 270 & 315 Degree Bushing. 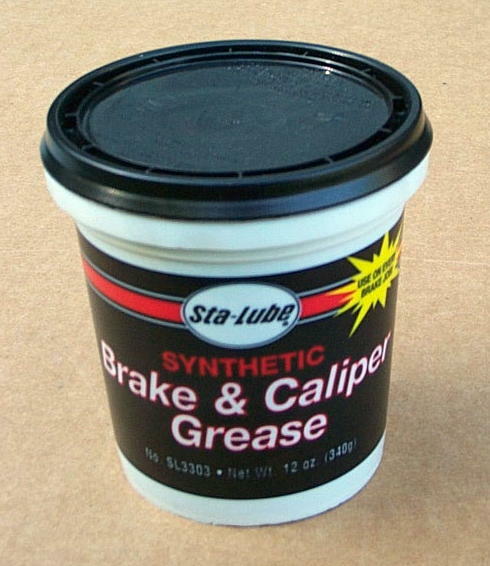 8 --- Grease Your Bearings! Left & Right Crankshaft Bearings, Pitman Bearing, and Ram-Housing need to be Greased Every Week. 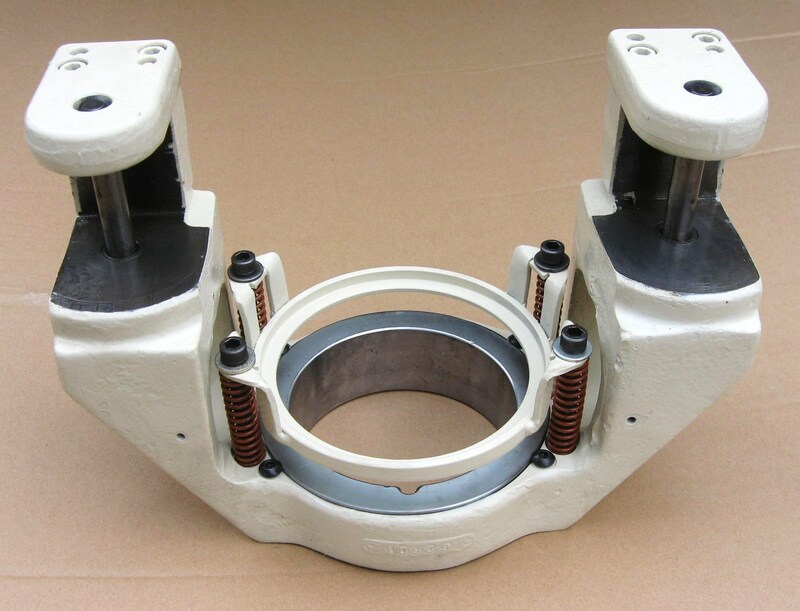 If you don't, Bearings Gall-Up and Drag on Crankshaft, Slows Crank Speed causing Loss of Punch Tonnage, Crank will Grind to a Stop and Motor Overload will Trip-Out. At this point, you need a Very Expensive Machine Rebuild. Strippit Specified Mobil EP1 Grease. I use Newer Synthetic Greases which Protect & Perform Better at High & Low Temperatures and does not dry-out and turn to thick-wax. Mobil Synthetic (RED) Greases Mobilith SHC220 & Mobilith SHC460 work well. I Like Valvoline SynPower as it has Molybdenum Disulfide for extreme Pressure and can find in Auto Parts Stores. Chain grease-gun to Machine or will Grow Legs & Walk-Away! 9 --- Maintain Proper Oil Level Inside the Punch-Head! Rotate Right-Flywheel Until Scribed "B.D.C. Line" (Bottom Dead-Center) is Lined-Up with Bottom of Electrical Box. Proper Level of Mobil DTE-24 Oil or Equivalent 5W or 10W SAE Motor Oil. Do Not Confuse ISO & SAE Oil Grades! Grainger Co. is 1 Source of Oil. 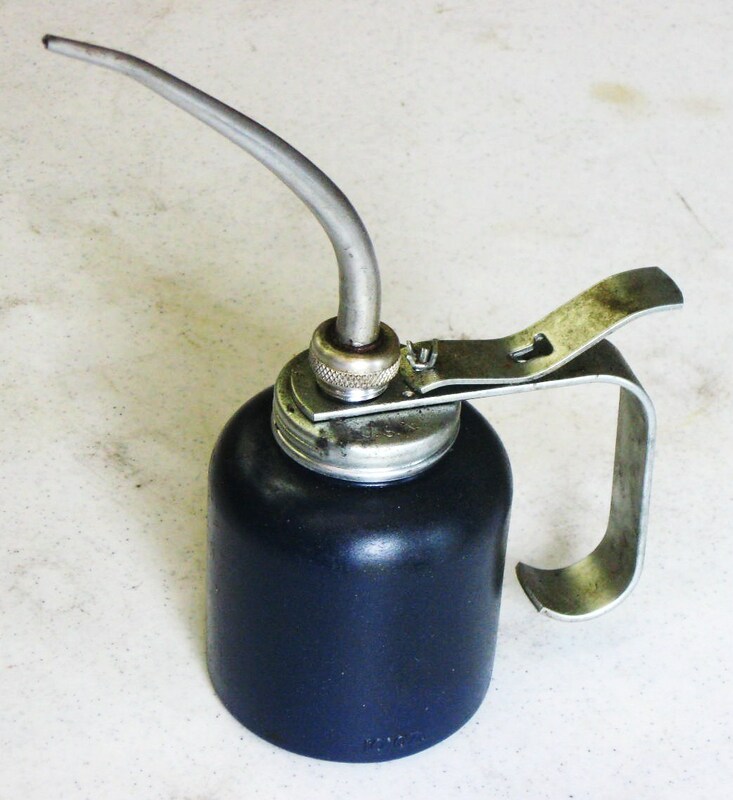 Use Old-Fashion Oil-Can to add Oil through Trap-Door on Top of Piston. Too-Little Oil will Short-Stroke Punch. and Spray-Out Oil while Punching. Chain Dip-Stick to Machine or it will Grow Little-Legs and Walk-Away. I Always Replace Lock-Pins. 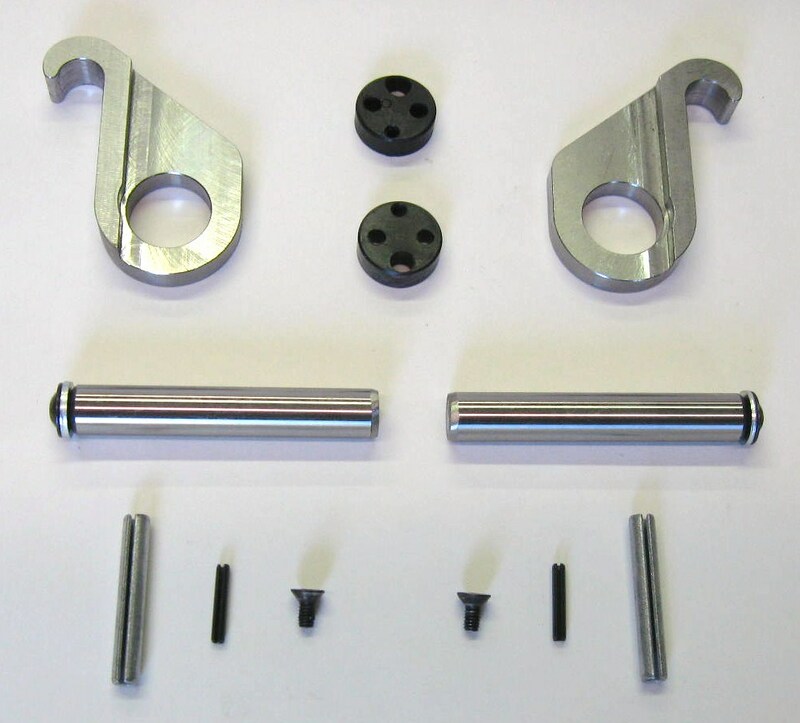 1 Set of Pins comes with "Hook & Handle Repair Kit" but as Machines have 1 1/4" Swing-Arm and 3 1/2" Swing-Arm, you will need Extra Set for 2nd Swing-Arm. 12 --- Some Common Electrical Problems. Custom 30/40, and Super 30/40 Machines that were the Most Common SAF's made. It does Not Apply to Hydraulic Machines like Super 30/40 HD and Super 36/75. and there are Many Variations in Electrical Wiring, Electrical Components, and Mechanical Components used. You will need to Understand how it Works to Fix it. to do any Trouble-Shooting. Manual also has More Trouble-Shooting Charts & Theory. --- It "Shorts" or "Short-Circuit" meaning Very-Low or No-Resistance. --- It "Opens" or "Open-Circuit" meaning Very-High or Infinite-Resistance. 12A --- Fuse Blows when you Try to Punch in Single or Nibble Mode. Caused by Shorted Punch Solenoid Coil, Normal Coil Resistance is about 15 ohms. 12B --- No Punch in Single or Nibble Mode. 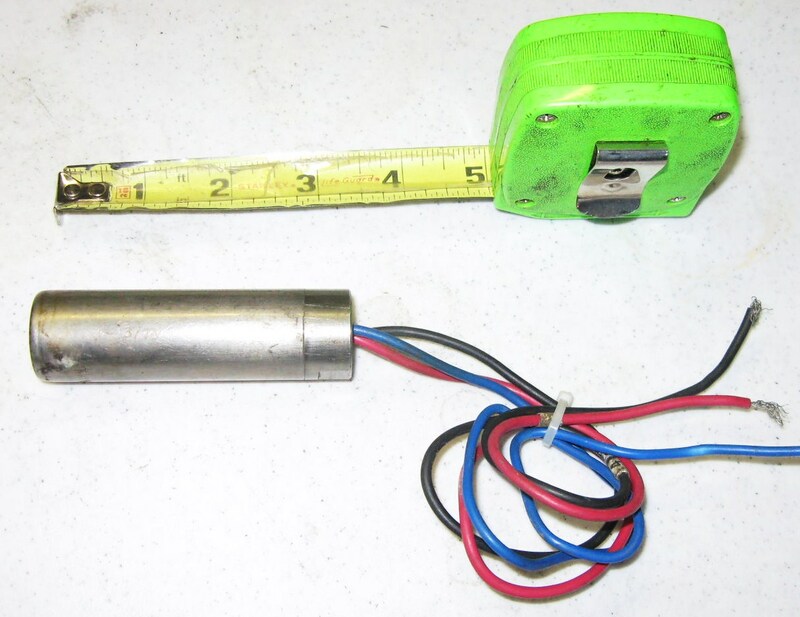 Caused by Open Punch Solenoid Coil, Normal Coil Resistance is about 15 Ohms. 12C --- Machine will Punch with Tool Handle Open and Not Locked-In. Caused by Tool Handle Lock-Switch being Shorted. 12D --- No Punch in Single or Nibble Mode. Caused by Tool Handle Lock-Switch being Open. 12E --- Punches OK in Nibble, but Blows Fuse 4FU and won't Punch in Single Mode. Caused by Control Relay CR1 Coil Short, Normal Resistance is about 250 Ohms. 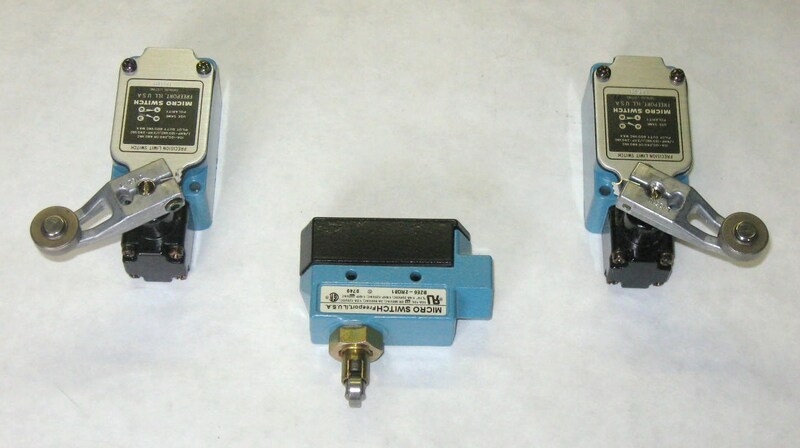 --- Limit Switch LS1 Open. LS1 is Normally-Open & Closes when Activated! --- Limit Switch LS2 Open. LS2 is Normally-Closed & Opens when Activated! --- Control Relay CR1 Coil Open, normal is About a Couple Hundred Ohms. --- LS1 or LS2 Wired Wrong. LS1 is Normally-Open, LS2 is Normally-Closed. 12G --- Varying Short to Normal Stroke in Single, Normal Operation in Nibble. Caused by Limit Switch LS1 Short. LS1 is Normally-Open & Closes when Activated! 12I --- Starts Nibbling when you Punch in Single Mode, must Turn-Off Machine to Stop. Caused by Limit Switch LS2 Short. LS2 is Normally-Closed & Opens when Activated! 12K --- Fuse 4FU Blows as Punch Ram starts to move down in Single or Nibble. Caused by Control Relay CR2 Coil Short, Normal Resistance is About 2000 Ohms. 12L --- Machine continues to Punch in Single as long as Foot Petal is Depressed. Caused by Control Relay CR2 Open, Normal Resistance is About 2000 Ohms. 12M --- No Punch in Single, but Nibble Punches Without Depressing Footswitch. which was Added to Eliminate Possibility of Double Punching in Singe-Punch Mode. 12N --- Constant Nibble Punching in Single Mode, Normal Operation in Nibble Mode. Caused by Limit Switch LS3 Open. 12O --- 1 Punch at Power-On. Punching in Nibble without depressing Footswitch. 12P --- Will not Punch in Single or Nibble Mode. Caused by Open Footswitch or Wires. --- Shorted / Melted Step-Down Transformer. Caused by Wrong A.C. Voltage to Machine or Big-Loads Plugged-In to 110 VAC Machine Power Socket, like a Cooling Fan. This External Power-Socket was made Only for a 60 Watt Work-Light! I sometimes Disconnect this Socket to Prevent this Common Problem. 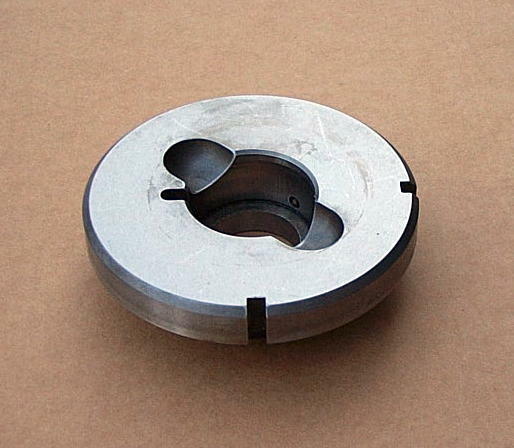 I get many Calls on Where to Buy New Punch Tooling & Dies. 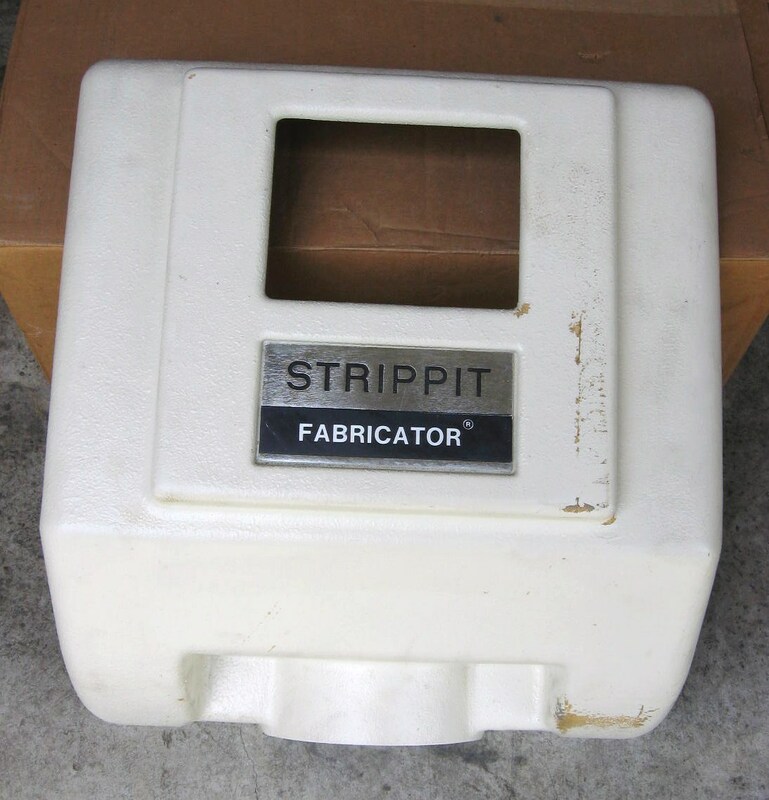 No Longer Makes "Strippit Tooling" that The Strippit Company was Named for! 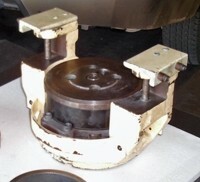 This Type of Tooling is NOW Known as "Thin Turret Tooling". 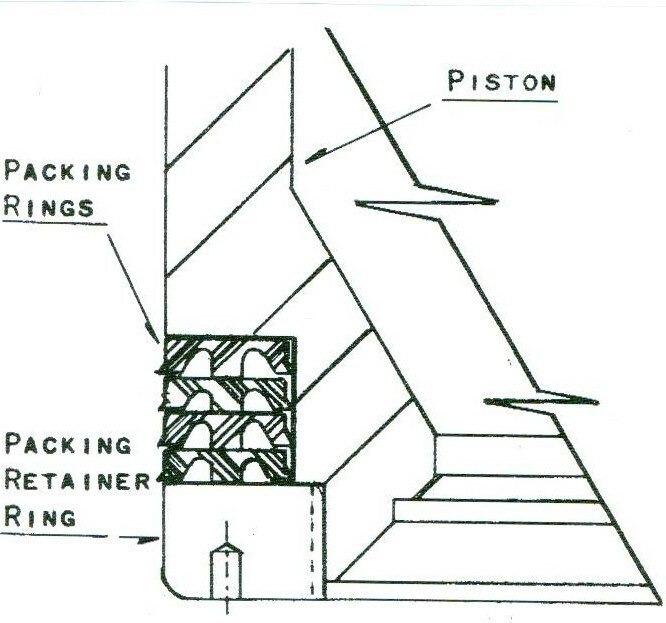 Most of these Strippit Single-Station SAF-Machines Use Only "Thin Turret Tooling". to take "Thick-Turret / Long / Amada" Type of Tooling. So, Please Go To That Web-Page For These 6 Tooling Company Links!!! 2ND Generation is the "AG's". 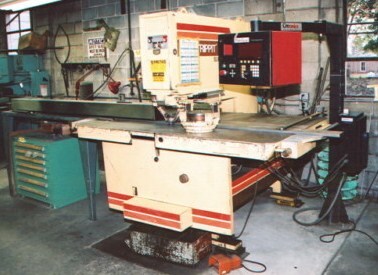 Made in Late 1980's & Early 1990's, Strippit took their Custom 18/30 & Custom 30/30 SAF Machines and Bolted-On Cheap Earlix Japanese 2-Axis CNC Gageing Control, to make a Auto-Gageing (AG) Machine. 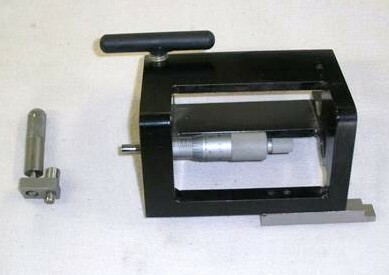 At Left, is 1987 Vintage Super 30/30AG Machine with "Long Tooling" Option. -- Earlix Control Co. is Out of Business! -- NO Control Parts are Available! -- AVOID These "AG" Machines!!! Strictly Speaking, These are Not SAF Machines. They are Auto-Gageing (AG) and NC & CNC Single-Station Punch Machines. 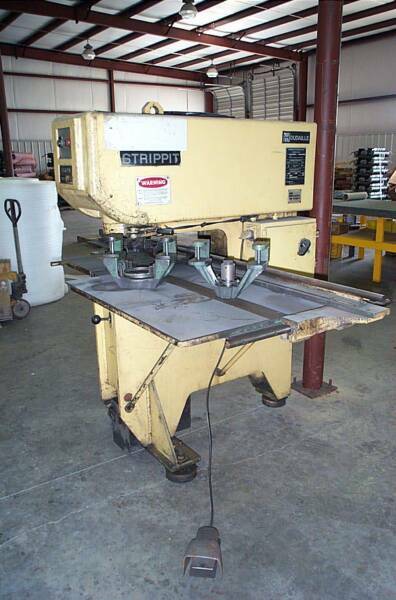 Strippit has had 4 Generations of these Types of Machines, All Should Be AVOIDED! Super36/75 SAF Machines as well as Automatic NC-Control Fabra-Matic 36/75 Machines in 1960's & 1970's with a Hughes 200 or General Electric NC-Control. NC Controls had No Memory, simply read Information from Papertape, moved X & Y Axis with the Part-Sheet, and Punched when in Position. A Program Stop was made when Operator was Required to Manually Change the Tool. No Parts or Service is Available for these Machines. The 3ND Generation is the "Super750"
Bad Thing, But LVD-Strippit has a Reputation for Not Supporting Their PC-Controls after a Few Short Years! In this Case "Control" Requires Old PC-Computer that Runs on DOS ( DOS Pre-Windows from Early 1980's! ) so when you have Problems, you find that Newer Computers and Windows Do Not Work on it, so you can't get Parts to fix it! but I would AVOID because of Strippit's Crappy PC-Control & Strippit's Crappy Support. Ask the People who Own a Strippit FC1000R with a Apple-MAC or Windows PC-Control! He is listed on my "Independent Strippit Service" Web-Page, Go There! The 4ND Generation is the "Alpha's"
These were a Updated & Redesigned Super750, and were reported to be Good Machines that Worked Well. Which is Machine's Main Problem Area. 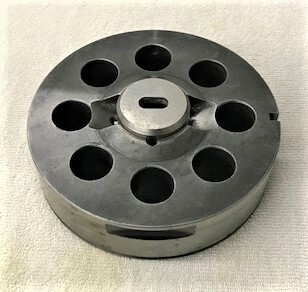 Accept a Standard 3 1/2" Die. 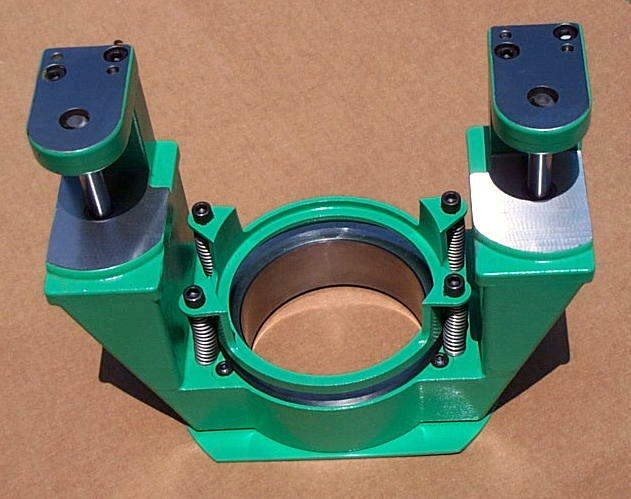 Tool-Holder And 3 1/2" to 1 1/4" Die Adaptor. Please Read This!!! Punch Tooling Sizes! and they have NO Idea What The Tooling Sizes Mean, and are Thoroughly Confused. that it is 1 1/2", and They Think they need 1 1/2" Tooling, which Does NOT Exist! 1 1/4", 3 1/2", 5", and 2" x 2" Notch Tooling. than Biggest Punch Tool Size. 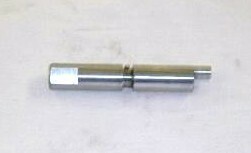 All 1 1/4" Type Punch-Holders are 1 1/2" in Diameter. By a Wild-Coincidence, This is Same Size of the "Hole" in a 1 1/4" S.A.F. Swing-Arm Holder or a CNC-Turret 1 1/4" Station, that the 1 1/4" Tooling Fits into! 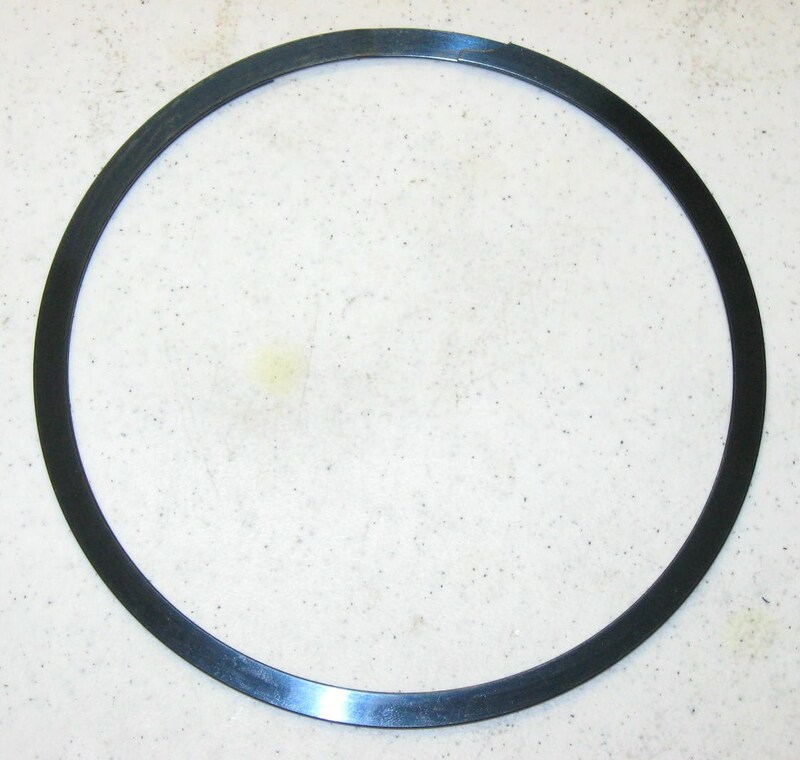 and fits into a Holder of 1 1/2" in Diameter. 2" x 2" Square, and fits into a Special Notch-Holder that is 3 1/2" in Diameter. and fits into a Holder of 4 3/8" in Diameter. No Longer Manufactured Anywhere, so all 5" Holders & Tooling is Worthless! 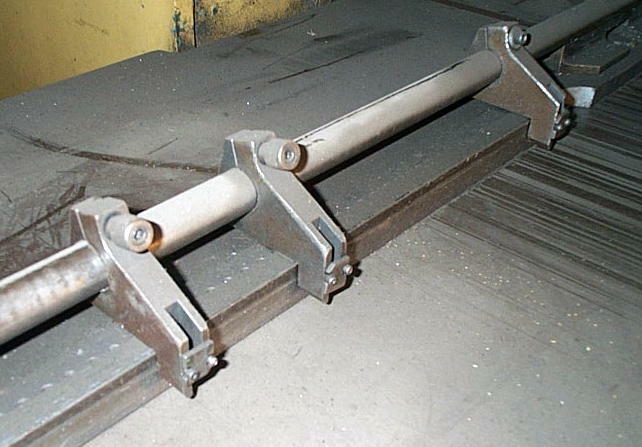 Rare "2 x 2 Notch" Swing-Arm Holder. So Named because they almost always have a 2" x 2" Square Punch in it for Corner-Notching and Blanking-Out Large Holes. These Can-NOT Hold a Standard 3 1/2" Tool! This uses same 2" x 2" Notch Punch Tool used in "Notch Station #1" in Older Strippit Turret-Machines. available for 40 Ton S.A.F. Machines. These Holders & Stripping-Guides were Very Heavy and Hard to Handle. 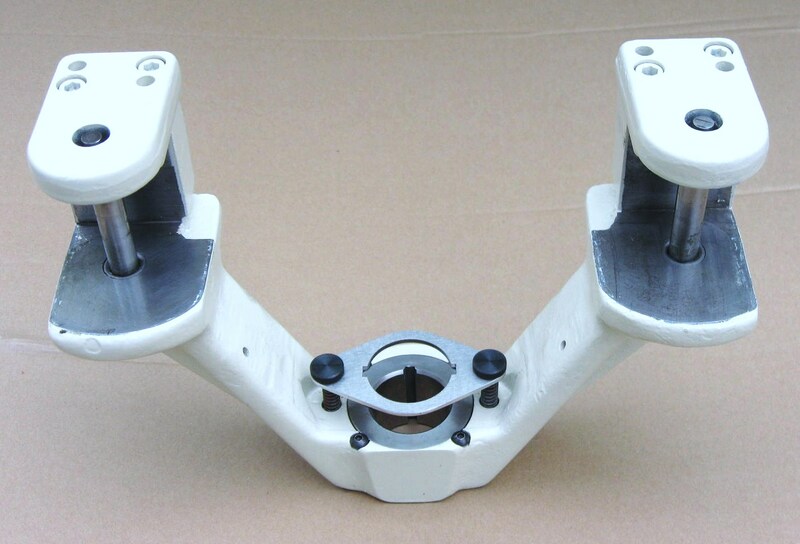 5" Swing-Arms, 5" Punch-Holders, and 5" Tooling are No Longer Manufactured, so are Now Useless. you Jack-Up Housing back in place! Piston-Valve to Trap-Oil on next Piston down-stroke which pushes Ram down to Punch-Tool. and Bolts Must use their Matching-Type Plunger! #74579-000 Solid Stop-Bolt, The Best-Type!!! ( NOT 30/40-HD ) Punch-Heads. on Screws to keep them Tight! 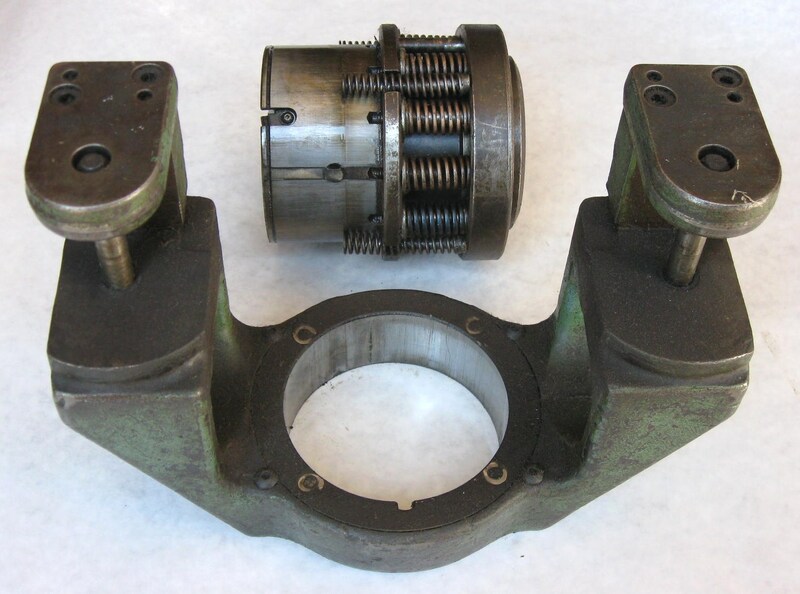 14 --- #62081-000 Finger Stop Assembly for Side-Gaging. Make sure you get these when Buying your Machine as they are Out-Of-Production! 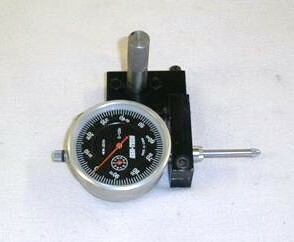 Strippit made Micrometer Side-Stops that could be very accurately adjusted. Or I would have a DRO Electronic Scale and Readouts Fitted to Machine. The Following is a Few Tips on Rebuilding the Punch-Head. Make Sure You Have A Manual Before You Start Rebuilding! PULL the 2 Taper-Dowel Pins. Block-Up Head so it won't Fall. You will Need a Allen Hex-Socket Set. A Pipe makes a Good Torque-Amplifier to Loosen & Tighten Bolts. Lock-In and Swing-Arm could be Rocked Back & Forth, so it Ate-Up Tooling. There is a 1/8" Roll-Pin, that Sticks-up 3/16", to Engages Slot in Bottom of each Hook, to make Hooks Open when you pull Handles so you can Remove Swing-Arm. Unfortunately, Pins are Always Broken. 2 Indentations on Bottom for a Special Spanner-Wrench that I have Never Seen. So you Tighten Ring as much as you can by Hand, then Tap-It Tighter with a Small Pin-Punch and Small Hammer. Ring & Piston & Set-Screw Threads!!! or you could Break Solenoid if you Force it up Housing! --- New Packing-Rings sometimes make it Difficult to Get Ram-Piston back into Housing. A Second Set of Hands can Help a Lot. --- Thread a Bolt into both Dowel Pins, and Tap Dowels into their Holes. Do both Sides several times to Locate the Housing Well. Remove 2 Bolts. --- Put in the 4 Bolts, and Tighten them Back & Forth several times. Guide and Holder and Bushing. Also, Grease-Up your Hooks & Handles to help keep them from Wearing-Out! This is 1 of the Best Lubes I have used. and has Extreme Pressure Additives Molybdenum Disulfide & Graphite. A 12 oz. 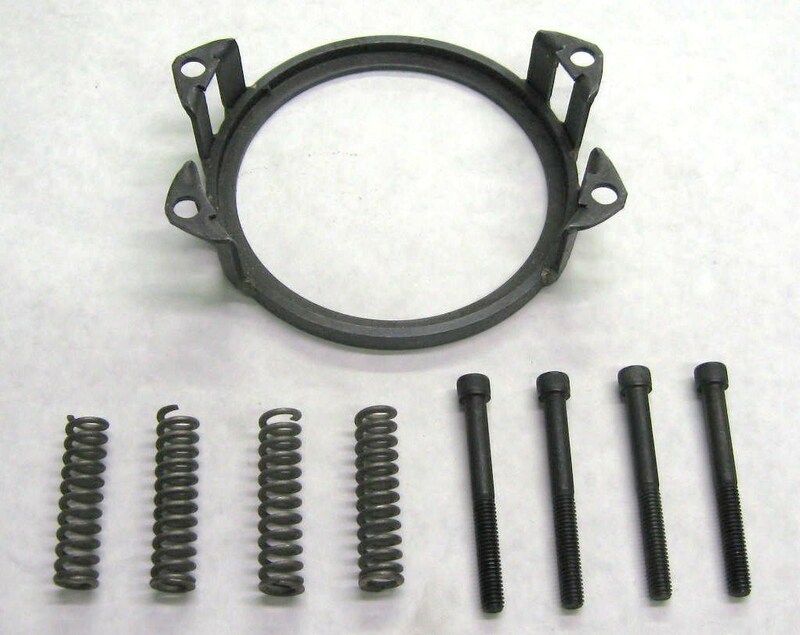 Tub is Part #SL3303, about $20 at NAPA and PEP-Boys Car Part Stores in U.S. This Customer Moved & Wired-Up His Super 30/30 All By Themselves. But, they Put the Wrong Voltage on it and Melted Transformer. get an Exact Transformer to Match Bolt Holes and Limited Space Inside the Electrical Cabinet. (.35 or .5 KVA is Better) and just Mounted it on Back of Control Cabinet. Quick & Easy to Do. --- Tag-Machine with New Voltage Information! One of Many Machines Variations was in LS1 & LS2 Switches activated by 2 Flywheels. 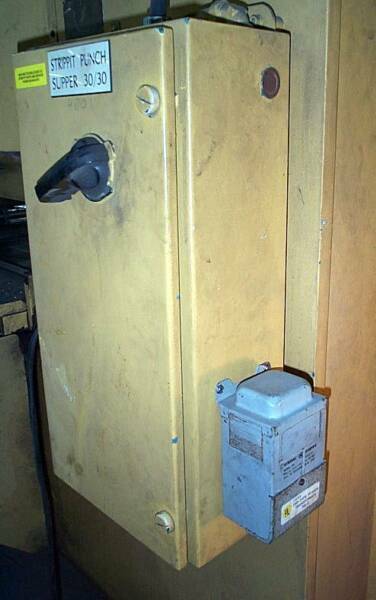 In 1960's, 1970's, and 1980's different Brands of Mechanical Switches were used, Allen Bradley, MicroSwitch, G.E., Etc. 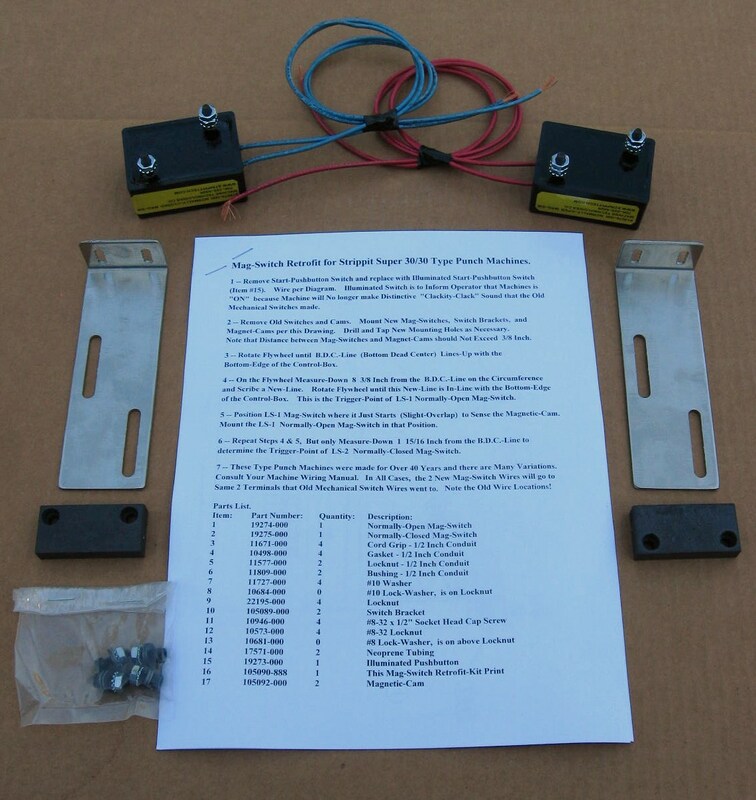 We Only Sell MicroSwitch Types as they Work Best! Even When Not Punching, Switch life could be Short. Turn-Off Machine if Not Using it! 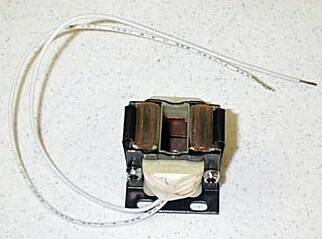 In the Early 1980's, Switches were converted to a kind of Non-Contact Proximity Switch that was activated by Magnets Mounted on 2 Flywheels. From this Time on, Machines now left the Strippit Factory with these Switches as Standard. of Switches, and many Machines have had this Kit Installed in the Field. As Machine would No longer make the "Clacking" Sound, an Indicator-Light was added to Upper Panel as part of the Kit to Alert Shop People that Machine was "On". #19274-000 Normally-Open Switch (Red-Wires), LS1 is on the Left Side. #19275-000 Normally-Closed Switch (Blue-Wires), LS2 is on the Right Side. #105092-000 Magnet. 2 are used, 1 Magnet is Mounted on each Flywheel. In Their Infinite Wisdom, No Longer Makes Any Single-Station Machines At All! OK, Newbies, Now Listen Up!!! Assembly as Shown At Right. We have a few Good-Used 3 1/2"
You then Drop-In 3 1/2" Stripping-Guide Assembly, that is already Loaded with Your Tooling, into 3 1/2" Swing-Arm Holder and Lock-It In Tight with Hooks & Handles into your Machine. Got It? 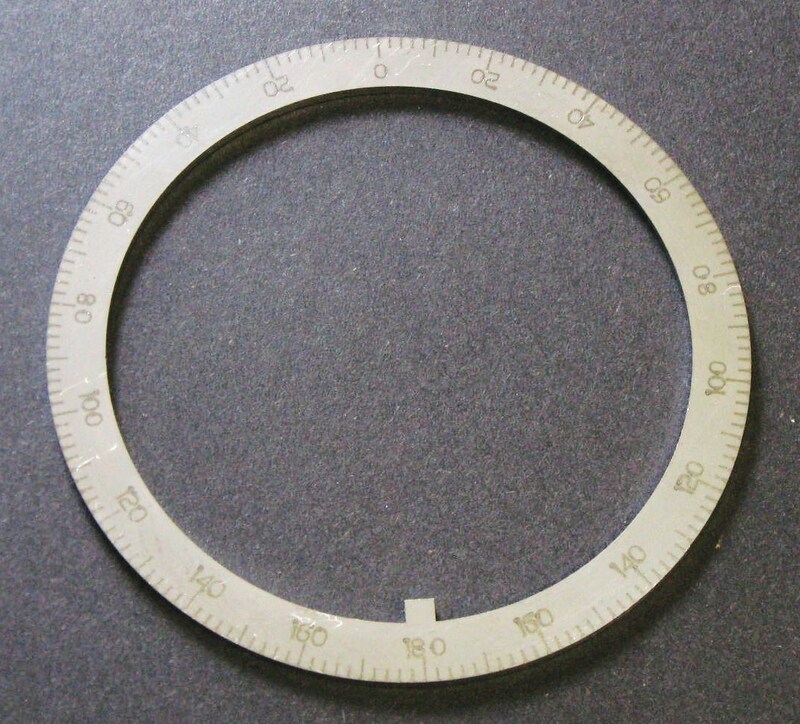 use 5" to 3 1/2" Die Adaptor. 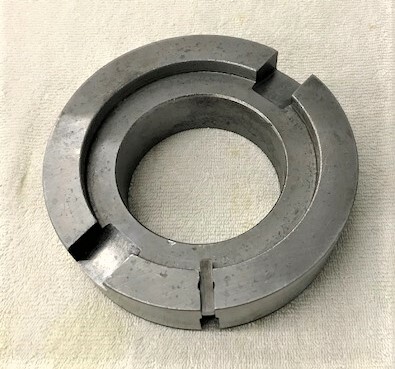 For 1 1/4" Dies, use 5" to 1 1/4" Die Adaptor. 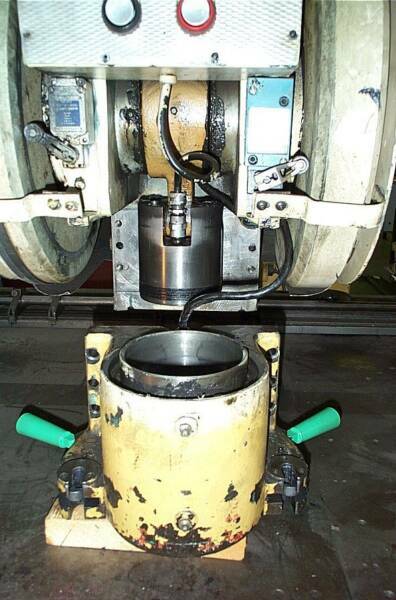 Teach Operators to NOT-Cross Punch & Dies as it can Break Die Adaptors! 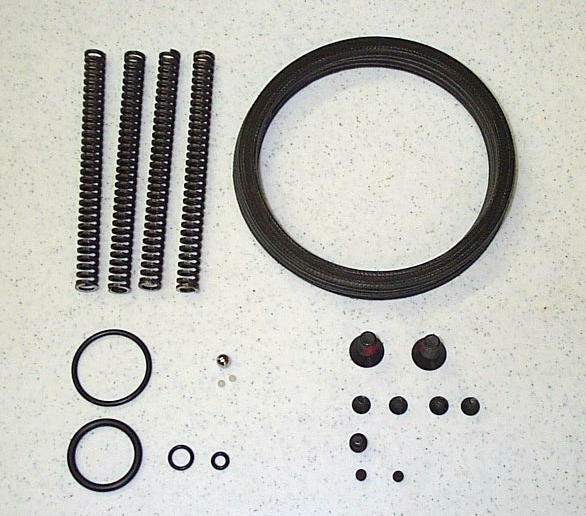 The Following are Good Used Repair Parts that we have Gathered. as when they are Gone, we are Not likely to Ever have them again! our Last-Batch of these Rings! Die Kicker Pin. 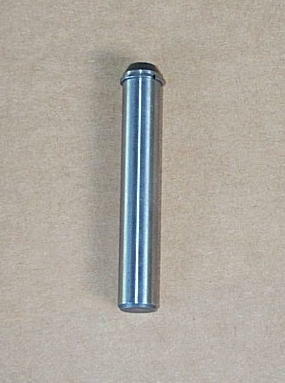 Used to Lift-Up Dies for Removal. Expensive & Hard-To-Get. Try Not to Break Your's! Smash it with their Sheetmetal Parts. Note! These 3 Gaging Stops are for Reference Only, they are NOT Available! We Sell This Replacement Relay & Socket as the Original CR1 Relay is No Longer Available. We Replace it with Newer Plug-In Relay with Red-LED Indicator-Light to show when it's Actuated. 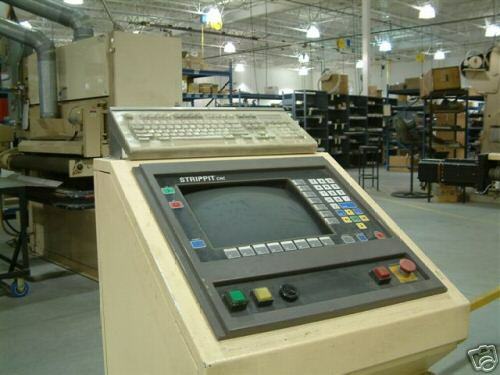 Note, Strippit Single-Station Machines were Wired Many Different Ways over 40+ Years of Production. Relay will need to be Installed by Someone who Understands Electricity, as there Will be Wiring Variations to Figure-Out at Installation! My Friend Denis Porter in "California Shaker". His Boat did 137 MPH in Less Than 8 Seconds in The 1/4 Mile Drag-Race. He also Raced Flat-Track Harley's in Younger-Days, and Flew Ultra-Lite Aircraft! Denis Got His Last-Wish 7/9/10 at Speed in This Boat on Lake San Antonio, CA. Remove Ram from Housing assembly to replace 4 Ram Springs. that tried to Beat-Ram out of this Housing with a Sledge Hammer! I had to have their Ram and Housing Re-Machined for $1000+ after their Attempts at "Repairs". Take out Spiral Retaining-Ring first! Push-Out the Ram by Hand! Before you try to take it Apart! No Manual? Buy 1 Today!!! Flat-Head Bolts Break and Bolt Hole Threads are ripped-out of Ram. 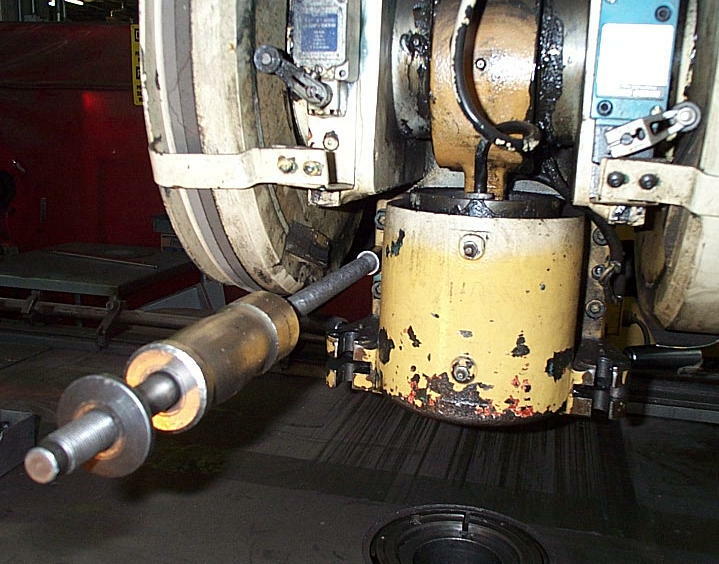 New threaded-holes can be drilled & tapped by Good Machine Shop. Not Pinched in Back of Housing when you Bolt-It back to Frame. --- This Switch Assembly is Made-Up of several Parts that are Expensive & Difficult to get so Try NOT to Damage them! from my Old Strippit Days. 6 Control Panel Screws, Move the Panel Up and Re-Attach it to Top of Electrical Box with 2 of the Mounting Screws. Now you can Run Machine & Troubleshoot Electrical Problems while having Access to Switch Terminal-Strip. Wearing-Out Switches, Ram Springs, & Packing-Rings! Hook & Handle Repair Kits Available! BATCH of these Kits Now! 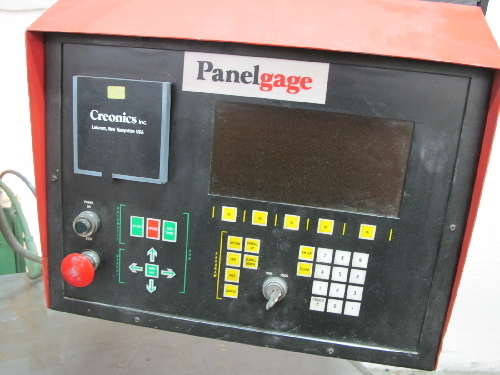 In 1980's, a Company called Creonics Manufactured the "Panelgage" which was a Simple CNC Gageing System that could be Retrofitted In-Your-Shop to Various Machines, Including Single-Station Strippit Machines. 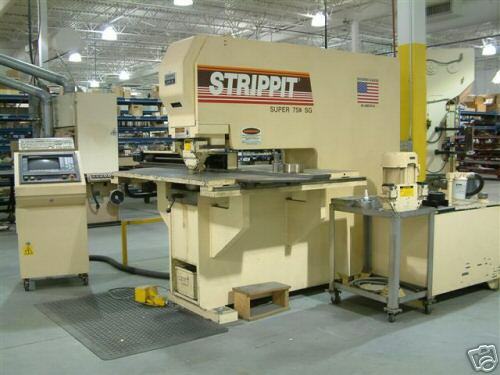 On Strippit's, the Original Strippit Mechanical Gageing System was Removed (And Then Promptly Lost) and Replaced with Programmable CNC Gageing System. My Understanding is that when New (30+ years ago) these Systems worked quite well in certain applications. were Bought Out by the Allen Bradley Co.
which is now part of Rockwell Automation Co.
--- The Retrofitters that did these are Long Gone. --- Creonics Parts & Service are Hard to Find. Strippit will Not work on Machines anymore. --- Can Not use Manual Gageing Anymore. Mechanical Gageing are NOT available. PLC Talk.Net or ACCU Electric Motors Co.
does NOT have a Tool-Lifter. 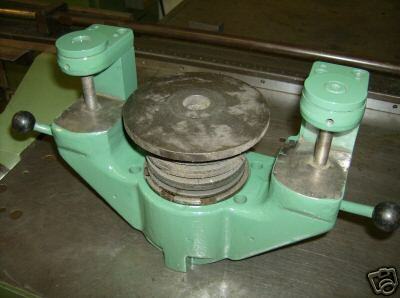 Instead, it used a Matching Old-Style 3 1/2" Stripping-Guide with 4 Lifter-Springs Built-In to Lift-Up Stripping-Guide. Old-Style Swing-Arm as it does Not have Tool-Lifter! 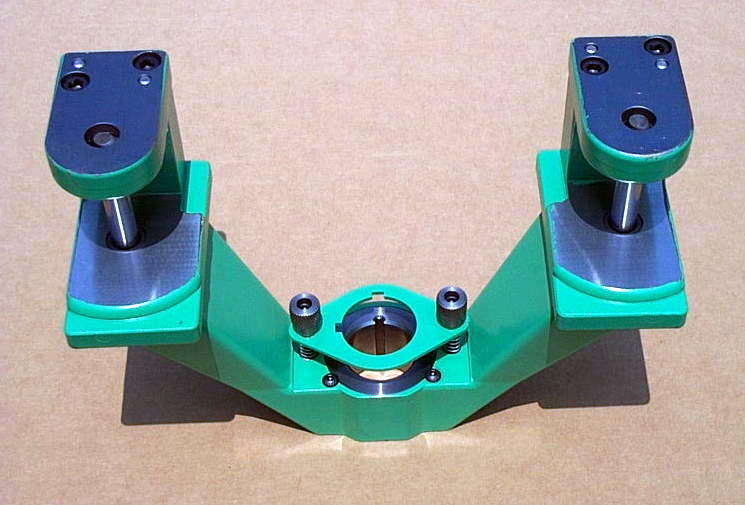 Old Swing-Arms can be Machined to add Lifter-Kit to use a New-Style Stripping-Guide Assembly. Install 4 Packing Rings Correctly!!! Solid-Side of Each Ring goes UP! Open Lip-Side of each Ring goes DOWN! Buggering-Up the Threads on Piston! 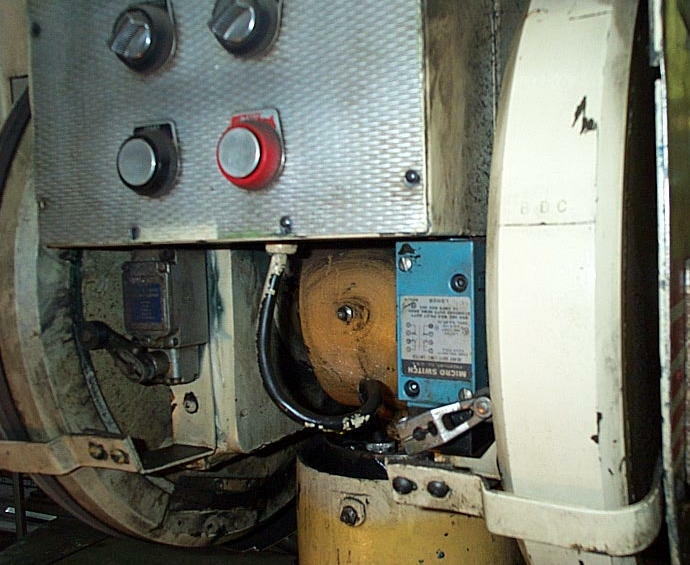 Proper Switch Actuation is Critical on these Punch Machines! "Off-Brand" Substitute Switches and Worn-Out Switches Cause a Variety of Punching Problems. When in Doubt we Replace LS1 (Left) and LS2 (Right) Switches with Part #49790-040. With these Switches, we Set Arm-Rollers to Not-Quite Touch Flywheel and Switch would Activate (Switch) Half-Way Up the Cam. Put Drop of Oil on Center of Roller so it Rolls, and Not-Drag and Cut Groove in Cams. LS3 Double-Punch Prevent-Switch (Center) is Part #12979-000. Early Machines were Wired Differently and did Not have LS3 Switch. 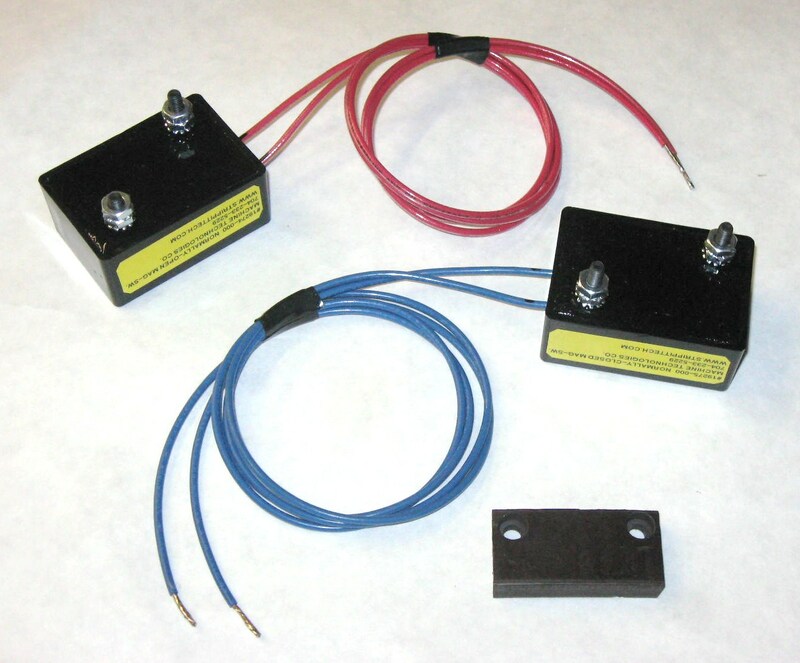 Single-Station Machines were built with 2 of these Early Magnetic Sensors that Detected Metal. Sensors did Not work well, have Not been Manufactured for Decades, and are Not Available Anywhere. 1" x 3 1/2" Long. Mag-Switch Retrofit Kit to Repair. We Only have a Few Left! New Handles are NOT Available! 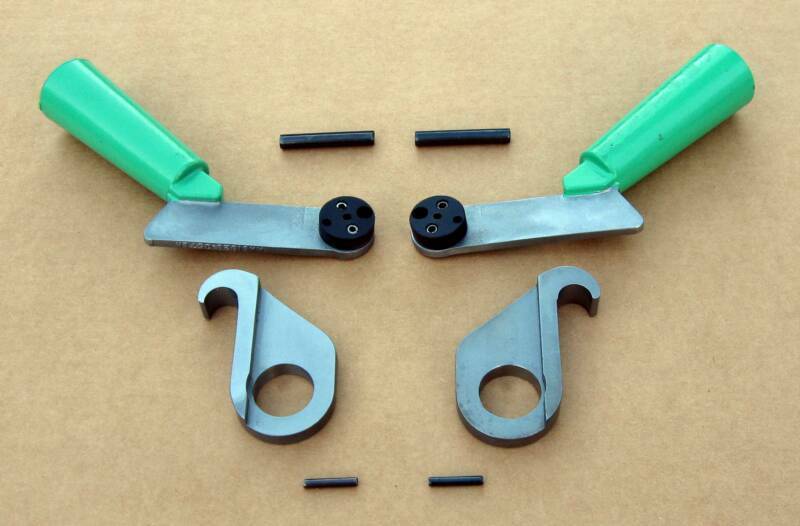 Hook & Handle Repair Kit Below! 1 in Excellent Condition & 1 in Fairly Good Condition.